For years, all marketers have talked about is millennials. They showered attention and money on them. But as millennials age, what should they do? That’s where the YAYA market comes in. These 18- to 24-year old youth and young adult consumers are an elusive yet essential group for brands’ to target. Marketing to those in this life stage requires as much energy as daily exercise and flossing and it’s just as important. So when it comes to knowing what this age group is about, brands can turn to MOJO Ad for help in sifting through the fads and trends. The YAYA market represents approximately 10 percent of the U.S. population, or 31 million people. While roughly 40 percent of YAYAs are pursuing higher education at a two or four-year institution, or are in the beginning stages of their careers, they have an impressive buying power. We know that reports indicate that millennial spending power will reach $1.4 trillion by 2020, meaning the buying power of the YAYA demographic will also grow concurrently as they move into the work force. Gaining the attention and the trust of the influential consumers in this life stage is essential for the long-term success of brands. Possessing insight into the workings of this demographic will help brands to separate from their competitors. Current YAYA consumers believe in companies that are transparent and honest. Trying to use trite, deceptive marketing tactics won’t work for them. This is one of the many ways YAYA research can help companies tailor marketing plans to effectively reach this market. 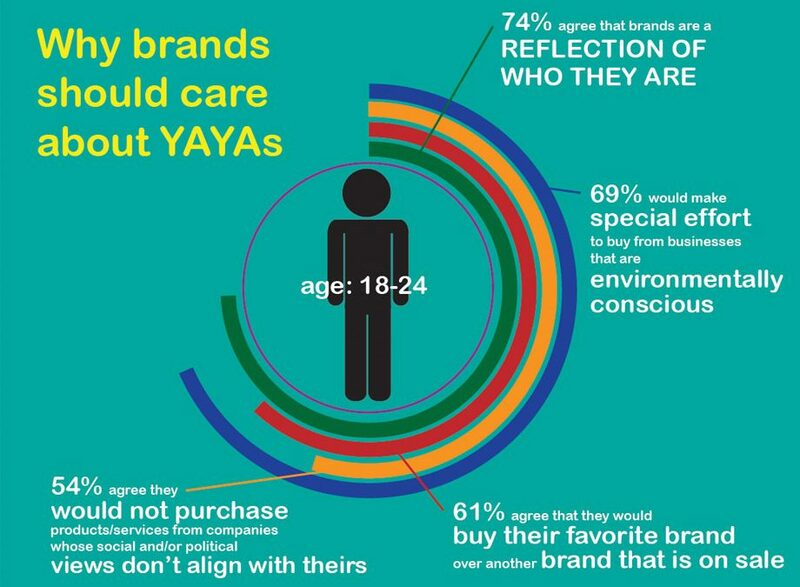 The biggest thing for brands to remember is that the YAYA demographic isn’t a generation, it’s a life stage. So 10 years from now, when millennials move into middle age and the up-and-coming iGen is starting their families, the YAYA market will still be 18 to 24 years old. That’s why they aren’t the next big thing, they are the only thing. This past Sunday marked the return of one of television’s (pardon me, it’s not television, it’s HBO) most beloved dramas—Game of Thrones. With it came one of the most testing challenges in viewers’ lives: the first four episodes of the new season were leaked, creating mass chaos in GoT fans lives. At first, this seemed like a gift from the gods. No longer will I be fraught with anticipation for next week’s episode, since I now have the first half of the season at my fingertips! But on second thought, I realized the truth: If I watch the first four episodes now, I’ll have four agonizing weeks of anticipation. This problem is synonymous with the YAYA generation, where instant gratification is a driving force. This shift towards having everything right when we want it is transforming commerce as we know it. So how are brands going to meet this need? Mojo Ad releases a study every year containing key insights about YAYA consumers, and one in particular sums up what I’m going through. So how should brands face YAYA expectation for immediate results? Don’t make them jump through hoops to get the information they seek. Being transparent about your company, product or service will benefit you in the long run. The more clicks it takes to make an online purchase greatly lowers the probability that it actually happens. If you’re going to keep them waiting, let them know the wait is worth it. Nothing disappoints YAYA consumers more than an unmet expectation. Don’t overpromise and underdeliver. Allow them to keep tabs on what’s to come. Uber and Lyft allow users to track where their ride is. Dominos shows the customer’s pizza’s progress in the kitchen. Brands that create products or services that change the way we do things before we crave change will outlast those who don’t. 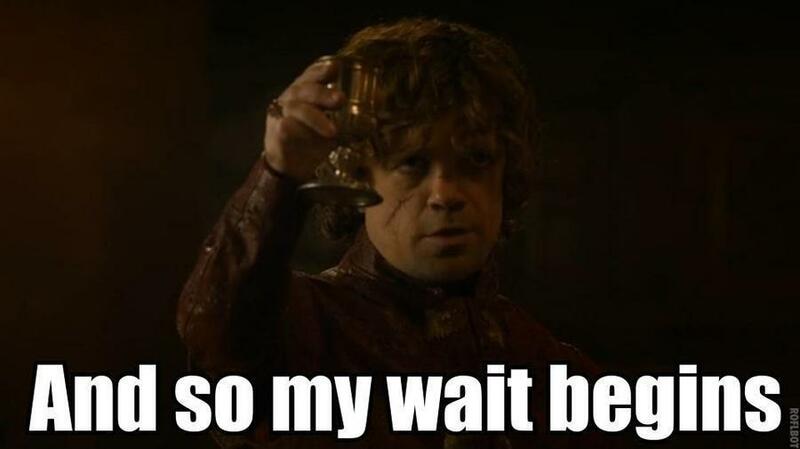 So while I sit here and resist the temptation spoil the new season of Game of Thrones while tracking my Dominos medium thin crust pizza, you, fearless marketers, should continue your quest to meet the unrealistic expectations of the impatient millennial. Compared to the obsession with transcendence in the 1950’s Beatnik movement and the importance of communal love in the 1960’s and 1970’s, YAYA consumers seem to lack a distinct social cause. Today, young adults are trying to adhere to mainstream standards more than ever. What draws millennials to embrace the mainstream is the success and money that it can provide. New York Times author William Deresiewicz labels YAYA consumers as “Generation Sell,” focusing on the way they have embraced mainstream culture, unlike the numerous generations before them. YAYAs are focused on the importance of making something new and exciting while sharing it with the rest of the world. Kickstarter, founded in 2009, rallies people together to fund the entrepreneurial dreams of bright minds everywhere. So far, Kickstarter has brought 82,000 creative projects to life. Being born in the age where the endless possibilities of the Internet are still being discovered has instilled the importance of creativity in today’s youth culture. These ideas are essential to understanding why millennials hail the entrepreneur; YAYA consumers crave the autonomy, imagination and adventure that entrepreneurs embody. Even if YAYA consumers aren’t spending their time creating new products, music or art, they are still selling something. Most 18- to 24-year-olds have adopted a personal business model that requires them to “sell” a branded version of them selves. For millennials, important interactions are treated like commercial transactions, where being polite and making others (customers) happy is king. This branded version of the self is not only maintained through physical interaction, but it is also obsessively monitored and promoted using social media. What each YAYA consumer posts on their personal social media accounts has become increasingly censored. This is because the end goal for most YAYAs is to get noticed by the right people. In the mind of the average YAYA, you have a better shot of being successful if the right people notice you. Ironically, this blog post could get me noticed, and I’m well aware of that (but totally ok with it).